heyy everyone! Long time no see ;] This weekend definitely threw a few curveballs my way. 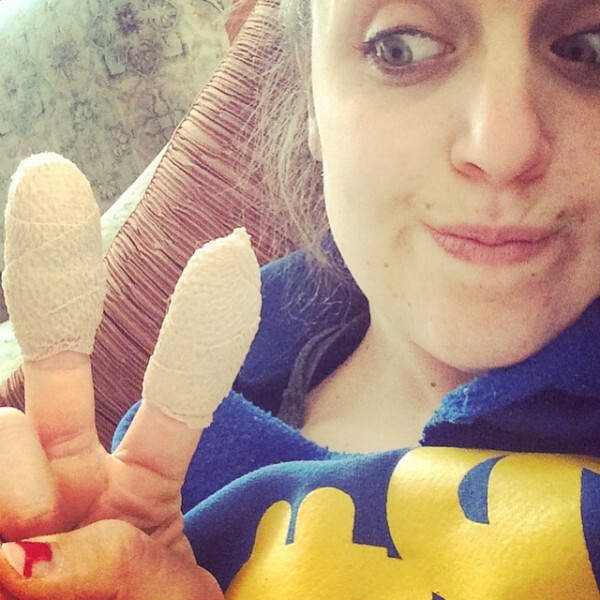 What started as prepping some squash ended with a trip to Urgent care & 6 stitches. Needless to say, typing hasn’t been thew easiest when you’ve got corn dogs for fingers. I was chatting with my Pap the other night about everything to check in & I really found myself actually being super thankful. Thankful that 1) I still have my fingers & 2) my Mom who has been an amazing sidekick & nurse whenever the vision of my fingers got the best of me. Whenever you get injured and have to compensate for it, you really start to feel grateful that (knock on wood) you will be ok again and back to normal. Trust me, earlier in the week I was playing the whole “why meeee” game in my head since my schedule got all switched up due to the un-planned trip to the urgent care but before I finally snapped myself out of it and thought, this could have been way worse and I am thankful for the fingers I do have that are helping me every day while 2 of them area in recovery mode. oooook! So Favorite #1: Kicked off this fine snowy morning riding in The Race To Any Place for Team GNC! 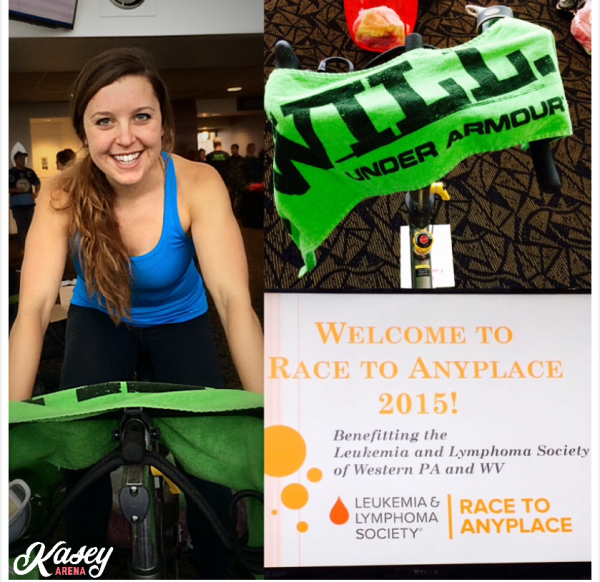 If you’ve never done one of these, basically you get a team to fundraise for The Leukemia & Lymphoma Society & also race on spin bikes the day of the event. 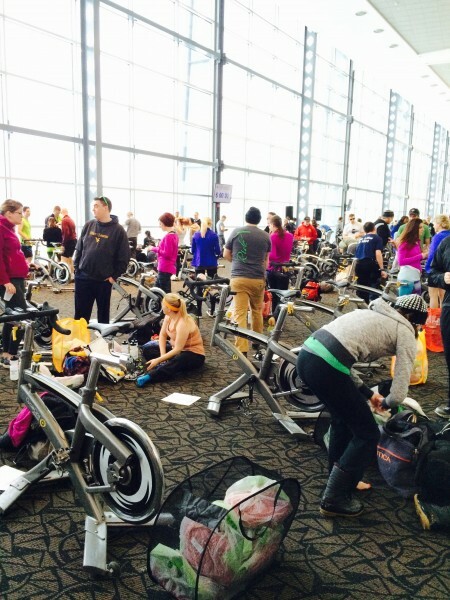 Each team has to keep the bike moving from 8a-2pm with a new rider switching every 15 minutes. The energy in the room is CONTAGIOUS and so much fun! My friend from high school, Jordan from Listen Lucy, actually runs the events for the Society & does such an amazing job. 2) THESE CHIPS!!! 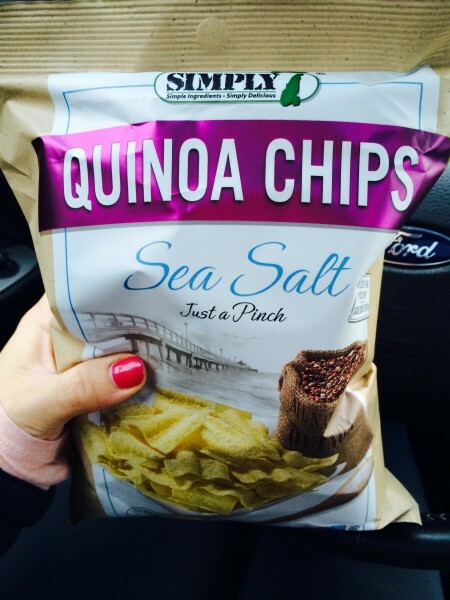 Guys, I’m being honest that this might be my favorite chip – EVER. I got them in my last month of Fit Snack (feel free to sign up through my right sidebar! ), and I am hooked. They have 7 grams of Protein per servings – hiyooo! They are also super airy & delish. I found them at Whole Foods as well! 3) Black light insanity class at the gym! So fun. 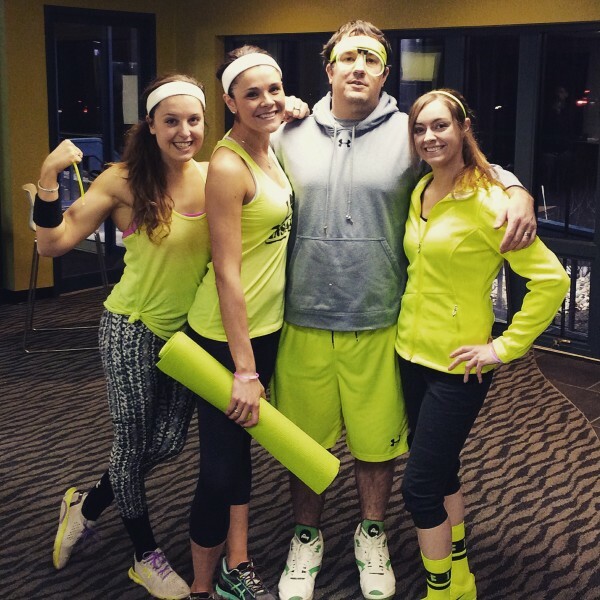 Everyone dressed up in highlighter colors and I got a ton of new ideas for bootcamps. 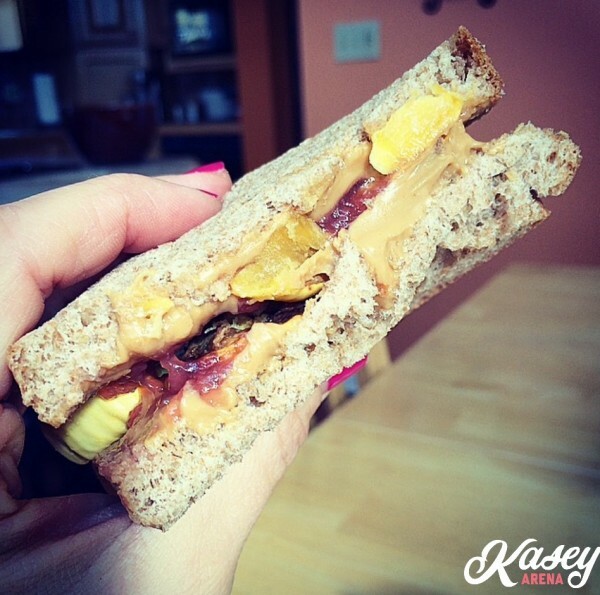 4) Peanut butter & Jelly with roasted squash. Don’t knock it til’ you try it! In between two pieces of organic whole wheat bread. 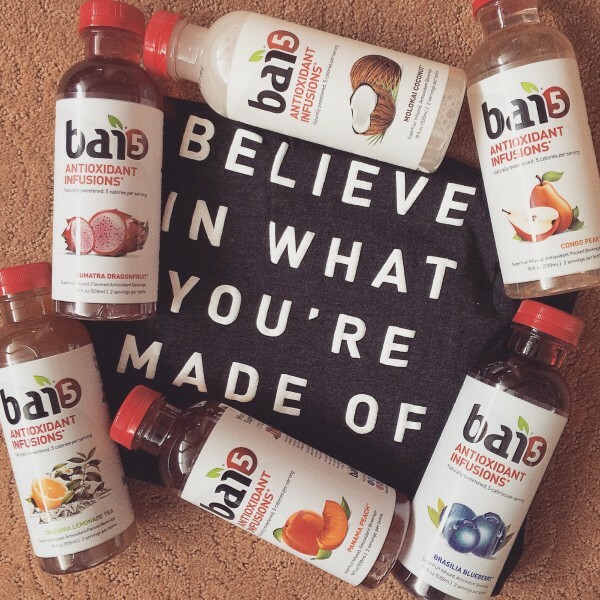 5) Bai5….need I say more? It’s safe to say that this is one of my top drinks of choice. My favorite is either Pear or clementine! What about you?? 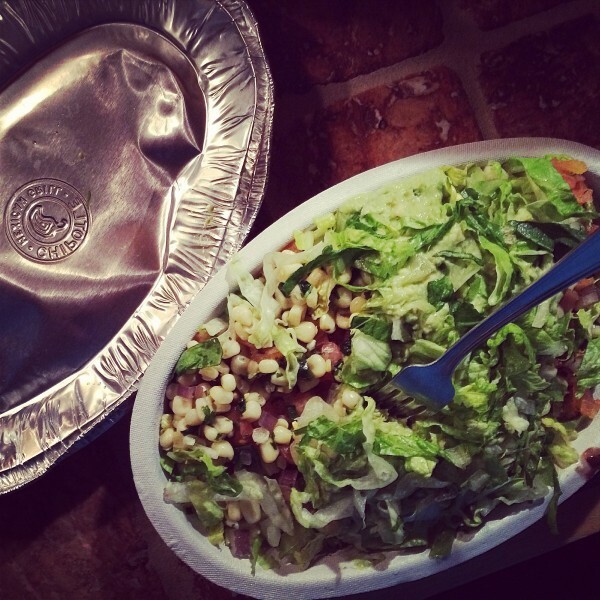 6) Chipotle, for the win! This is my go-to when I’m on the go. Rice, chicken, veggies, beans, & guac. Always guac. 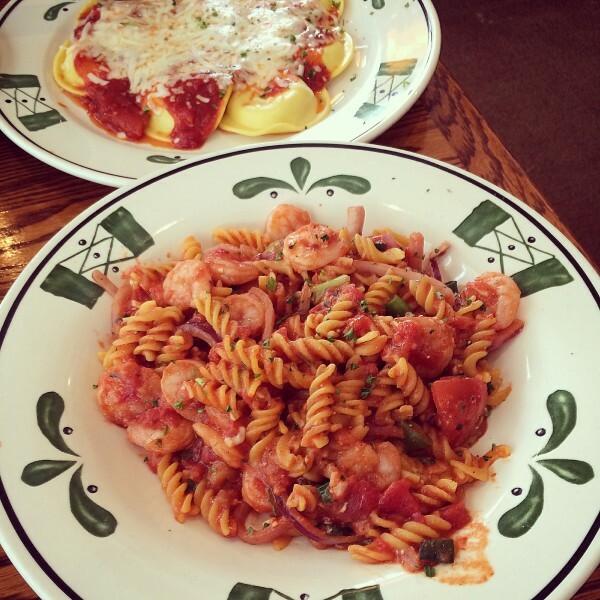 7) Lunch with my GALentine last weekend called for Pasta with shrimp. Nothing better than a lunch date with a best friend. 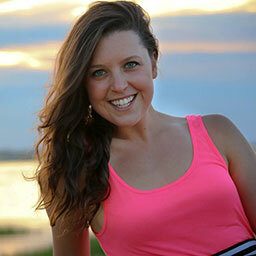 8) Followed by a homemade dinner by my lovely sister-in-law who shared Valentine’s day with myself & her sister. 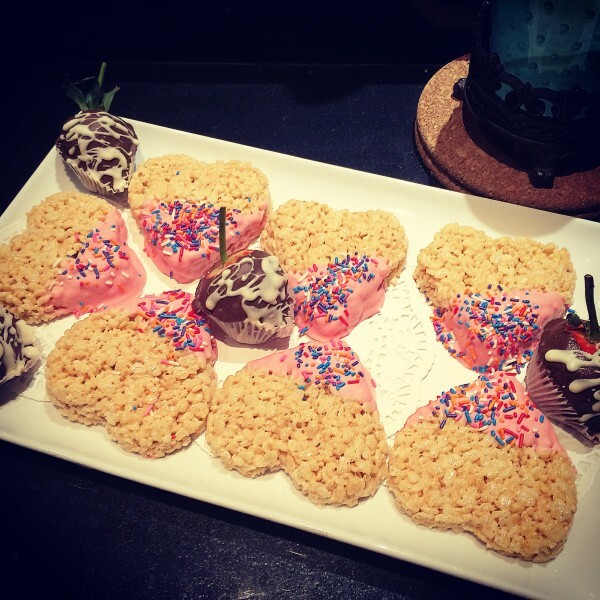 How adorable are these rice crispy treats? 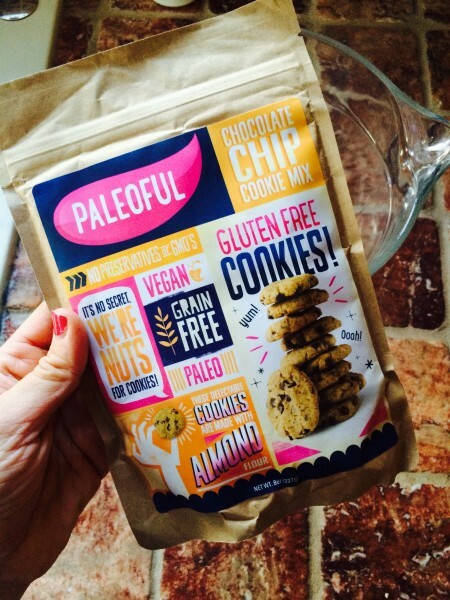 9) While we’re on the dessert kick – made these Paleoful cookies for the week & they never disappoint. 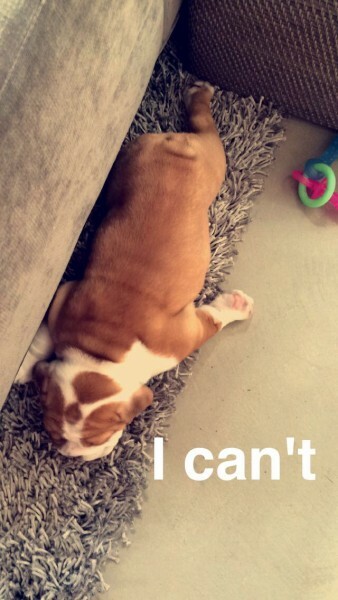 10) PUPPY!! ahhh guys look at this adorable lady named Gigi! My client just got her & I am slightly obsessed with how she sleeps. She really wanted to workout with her mommy & me but the weights weighed more than she did. 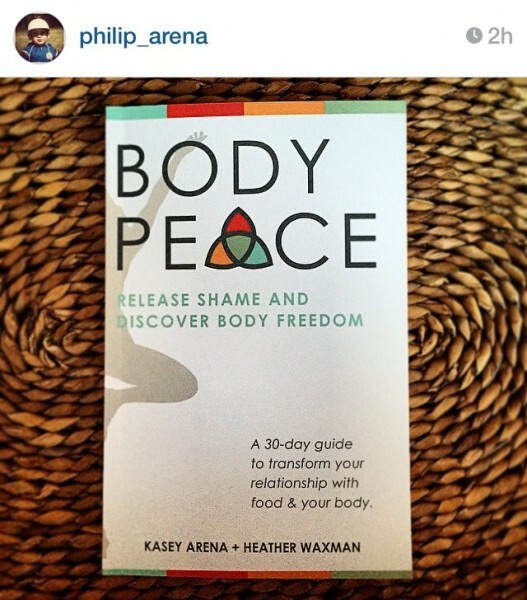 11) My brother just purchased his own copy of BODYpeace which made me super pumped. It really goes to show that even though Heather & I are two women sharing our stories with our “Soul Sisters” doesn’t mean that our “Soul Brothers” can’t have a BODYpeace journey as well. 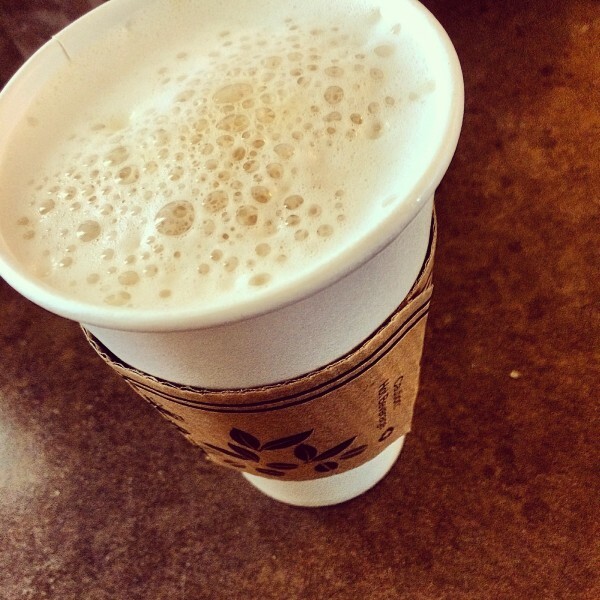 12) Almond milk lattes at my favorite local stop! Those bubbles though…yes. Whelp, I’m off to train my kids with agility for a weekend Tennis camp! I hope you have a great weekend. What was one of your favorites from your week? My First Vision Board Experience! Life Changer. 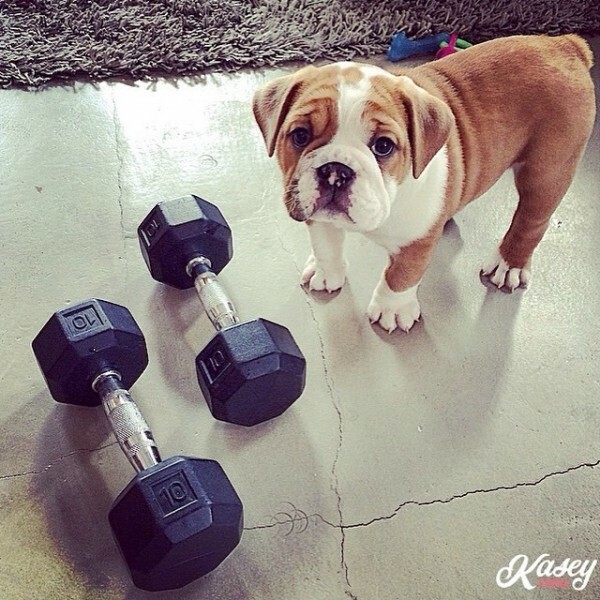 Ummm, that puppy is absolutely adorable and the picture of her with the weights….my heart just melted! Great job on the Race to Anyplace!!! They have one at the arc, too, and while I’m not much of a bike person, I’d like to do it one year because the charity is close to my heart.